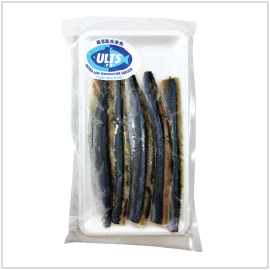 Saury, or sanma, is one of the most prominent seasonal fish in Japanese cuisine. Typically, imported sanma is sold as a whole fish, but this particular item has already been gently filleted. Although sanma is a quintessential fall fish, this convenient pre-filleted sanma will be readily available throughout the year. Highly fresh, meaty-flesh can be enjoyed as sashimi or sushi, seared or as namero –minced sanma mixed with spice and seasoning.